Journal of Applied Biotechnology Reports (JABR) is a quarterly, international, peer-reviewed, and open access journal dedicated to various disciplines of Applied Biotechnology. The journal publishes original/research articles, review articles, mini-reviews, short communication, letters to the editors, commentaries, and editorials. Journal of Applied Biotechnology Reports (JABR) is the new presentation and publication resource for biotechnology researchers. The journal publishes strictly peer-reviewed papers covering novel aspects and methods in all areas of biotechnology. It provides a medium for the rapid publication of full-length articles, short communications and technical reports on novel and innovative aspects of biotechnology. The Journal of Applied Biotechnology Reports also welcomes proposals of Review Articles - please send in a brief outline of the article and the senior author's CV to the editorial office. 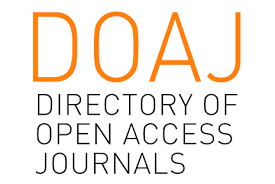 The journal will have 4 issues per year that published concurrently in English and all officially accepted manuscripts will be immediately published online. The journal also encourages the submission of useful reports of negative results. Submitted manuscripts should present new results of original research or describe new theoretical or methodological approaches in biotechnology. Original experimental papers of pressing nature requiring rapid publication no longer than five typewritten pages, including figures, tables, and references, are published in the Short Communications section. The Journal will accept papers in all of the biotechnology areas especially DNA/Protein engineering, all of Cell analysis fields (Genomics, Proteomics, Metabolomics, Systems biology etc. ), Bioinformatics (Docking and Modeling), Imaging, Analytical biotechnology (Sensors/Detectors for Analytes/Macromolecules), Plant/Agricultural, Food, Microbial or Environmental biotechnology, Health and Therapeutical biotechnology (Including Antisense/siRNAs and PNAs, Enzymes, Peptides ...), Regenerative medicine (Stem cells, Tissue engineering and Biomaterials), Translational immunology (Antibody engineering, Xenotransplantation, T-cell therapies), Medical biotechnology, Biosafety or Biosecurity. The submission and publication of papers in the Journal of Applied Biotechnology Reports are free of charge.